Boasting environmentally-friendly, energy-saving credentials and saving families thousands of pounds each year, the eco-house is on the rise. Just last week, the Passivhaus Awards took the construction industry by storm, celebrating the finest self-build eco-houses in the UK. Choosing the right materials is key to building an energy-efficient home, so we have given our take on the six unique properties that make timber cladding the perfect choice for eco housebuilding. Made from a natural material that is grown faster than it is used by its main exporters, timber cladding is a renewable resource that needs little preparation to make it fit for purpose. So long as tree stocks are continually replenished, housebuilders can use timber in their projects for many years to come without a guilty conscience. One of the biggest advantages of timber cladding is the fact that it is a natural insulator. Air pockets within the structure of timber provide barriers to both the heat and the cold to reduce the need for heating and cooling systems. Householders in the UK tend to pay around £1000 a year in heating bills, so this extra cash could really make a difference to families nationwide. When timber cladding is erected, it continues to store carbon dioxide (CO2) in the structure of its cells, which removes it from the atmosphere and contributes to the global effort to halt climate change. But that’s not all – greater use of timber in housebuilding will lead to expanded forests and a reduction in greenhouse gasses. Unfortunately, illegal logging is a huge problem, so housebuilders should look out for FSC and PEFC certifications which prove that the timber is sourced from well-managed, sustainable forests. Unlike PVC and other housebuilding materials, timber cladding produces no waste at all, as offcuts can be used for firewood and sawdust that makes for great compost and animal bedding. Even if timber does go to waste, its life cycle ensures that all of its vital nutrients are reabsorbed back into the earth. Waste going to land fill is a huge global problem, so it’s vital that we do anything we can to prevent it! 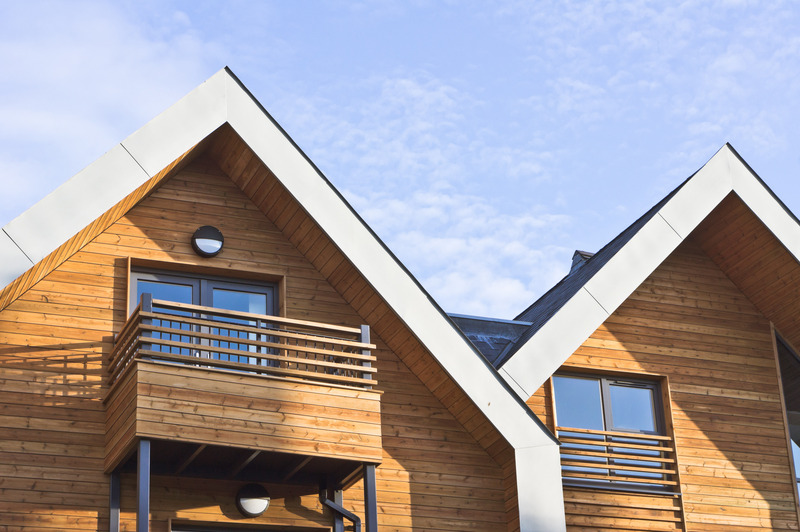 If properly maintained, timber cladding can last for many years. Natural timber will eventually weather and fade with time, but the best way to keep it looking great without harming the environment is to use a pressure washer to remove any build-up of mould or algae. Natural and organic timber coatings are also becoming much more accessible. Timber is grown and used for all kinds of projects across the globe, therefore supply is in abundance and adding timber cladding to your eco-house needn’t break the bank. Interested in timber cladding? We can offer bespoke solutions tailored to you. Just give us a call on 01472 350151 or email sales@bennettstimber.co.uk and we'll be more than happy to help. You can also view our range online.